THE 2017 Outlaw Music Festival RETURNS! And this year brings some of the most legendary artists to the live stage… along with fresh new talent! Of course Willie Nelson will be headlining… set to showcase their incredible sets is The Avett Brothers, Sheryl Crow & Blackberry Smoke! Catch all of this and more at Blossom Music Center on Friday 15th September 2017! Book your passes before its too late! 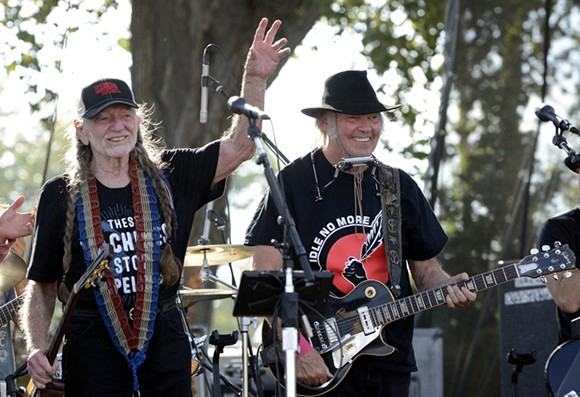 Joining hands, Willie Nelson and Blackbird presents come together once again to give Country music fans an experience they will never ever forget! The line-up for 2017 has been released and we're happy to say, it's looking pretty iconic. The Outlaw Music Festival includes; Willie Nelson & Family, Eric Church, Sheryl Crow, Nathaniel Rateliff & The Night Sweats, Lukas Nelson & Promise of the Real, Particle Kid… more names to be released soon! If this sounds like your thing, grab tickets and head on down!